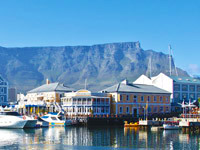 For more than 350 years, the cultures of Africa, Europe and the East have mingled in Cape Town, gateway to the South African winelands, a city rich in colourful history and culturally vibrant. It was here that Nelson Mandela, in 1990, took his historic walk to freedom. Today South Africa, a country of enormous diversity, is a peaceful democracy, home to the 'rainbow nation'. 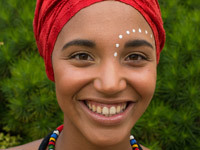 The breaking down of political barriers and the redressing of historical wrongs in South Africa has seen people from disadvantaged communities emerge as winegrowers and winemakers in the Cape winelands for the first time. Historically, they provided the labour on which the industry is based. Currently, over 160 000 people from historically disadvantaged groups are employed in the South African wine industry, which employs approximately 275 600 people, both directly and indirectly, including wine tourism. Part of the process of redressing imbalances is an ongoing education drive, spearheaded by various trusts and initiatives. 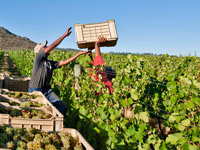 A number of Cape wine farmers have also established joint ventures with their workers to give them part ownership and to transfer skills in wine farm management as well as winemaking. There have also been a number of private initiatives to extend vineyard ownership to communities living in winemaking regions, where proceeds from wine sales are used to improve the quality of life of residents. Some 98% of SA wine producers contribute voluntarily to the Industry Association for Responsible Alcohol Use (ARA) fund, to which the wine industry currently contributes 25%, the spirits industry 25% and the beer industry 50%. 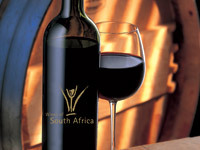 The entire South African wine industry worked together with Wines of South Africa (WOSA) to create an innovative top quality wine brand, Fundi, and ensure that 100% of the proceeds from the sale of this wine were used to train more than 2 010 previously disadvantaged people as wine stewards by 2010, when South Africa hosted the FIFA World Cup. 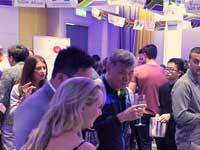 The Wine Industry Strategic Exercise (WISE), which is in its third phase and is due to conclude during 2015, has gained momentum. 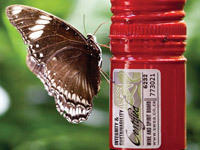 A new Transformation Committee has been established to spearhead the effective implementation and impact of the statutory levies allocated to transformation in the wine industry. Read more here.